When you combine the outrageous power of a 260-hp Rotax 4-TEC with the impressive capabilities of iControl, the result is a PWC that doesn't know the meaning of fear. With its stepped, stable hull, the RXT iS will keep you firmly glued to the water as you blaze across the waves. 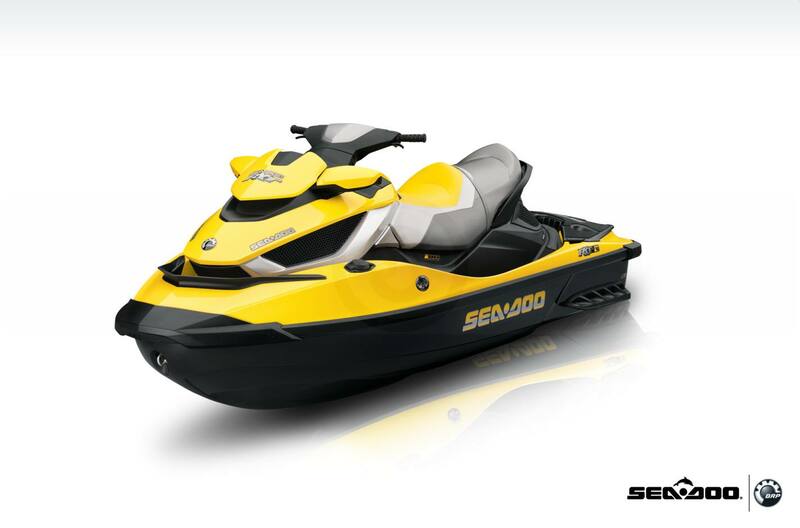 And thanks to Intelligent Suspension (iS), you'll be able to enjoy longer, less tiring rides in even the roughest waters. If you're out there riding with some buddies, just make sure they keep up. Variable Trim System (VTS™): when adjusting boat trim, maximizes acceleration and high-speed stability. Carpeted footwells and deck pads:Offer extra comfort, non-skid surface and great looks. Interactive Multifunction Digital Information Center: Reports 30 key operating functions: Fuel level, Tachometer, Speedometer, Hour meter, Compass, Water temperature, Touring/sport mode, Cruise control, Slow mode, Time, Fuel consumption meter, VTS, VTS preset, Suspension settings: auto and manual mode, Suspension dock mode ON_OFF, F-N-R indicator, Low fuel level, Low oil level, Low oil pressure, Low voltage, Overheat, Hi voltage, Check engine, Sensor check, Key (battery protection), Key (wrong key), L-Key / R-Key, Maintenance info, Error codes. Supercharged, intercooled 1,494 cc four-stroke, Rotax SOHC with four valves per cylinder: 260 hp Supercharged Intercooled Rotax 4-TEC engine provides reliable ultra-high performance in fresh or saltwater, increased torque at low RPM, optimized power at all RPM levels and throttle positions. cruise control, neutral, slow mode, dock mode and a high-performance Variable Trim System. For easier dockside starts and improved maneuverability. iControl Learning Key™: The programmable Learning Key allows you to limit the performance of the PWC based on rider skill level. Each of the two settings can be fine-tuned using the mode/set buttons. 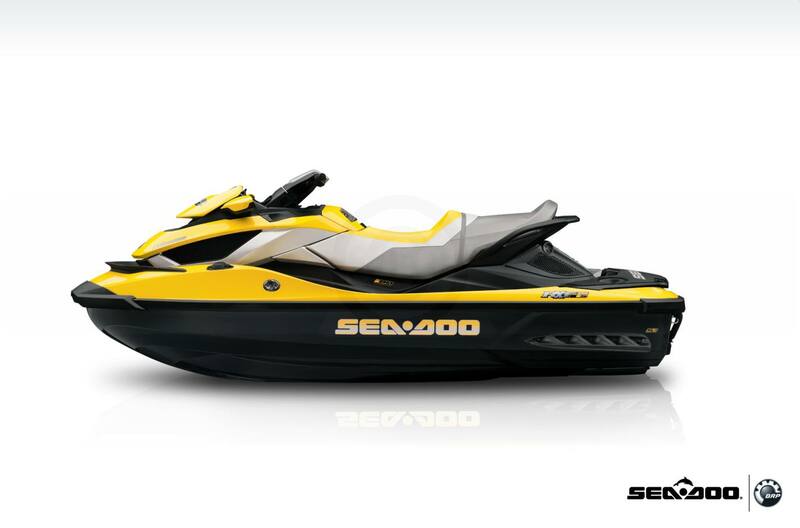 D-Sea-BeI™ system: Combines a series of resonators, acoustical foam and vibration-absorbing components to make Sea-Doo watercraft some of the quietest on the water. Water-cooled exhaust pipe ... Regulates exhaust temperature.